I have many fond memories of my grandmother… but her cooking is not one of them. I don’t want to come across as rude, or snooty, but she and I don’t often see eye to eye on culinary issues. There may be a few other issues that we disagree on, but since this is a food blog, let’s stick with that for now! Every year, as Spring rolled around, along with my birthday, I always looked forward to her matzo ball soup. It was likely the one item she made that I could honestly say I looked forward to. 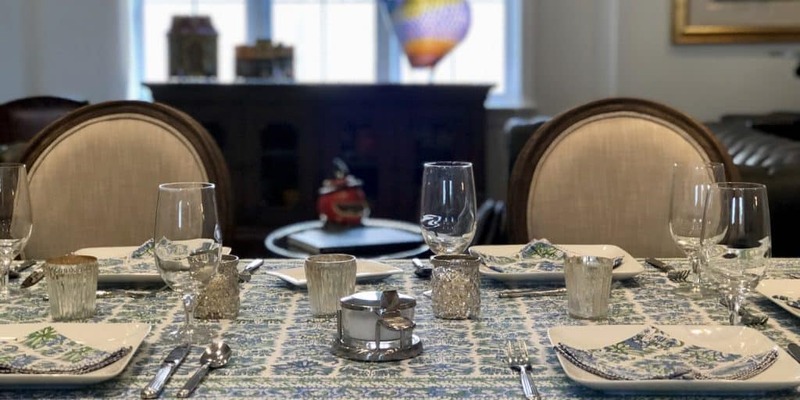 But as she got older, and less capable of making enough soup and matzo balls for the 30 or 40 some-odd of us that would gather each year for our Passover celebration, she passed her matzo ball recipe along to one of my brothers and me. 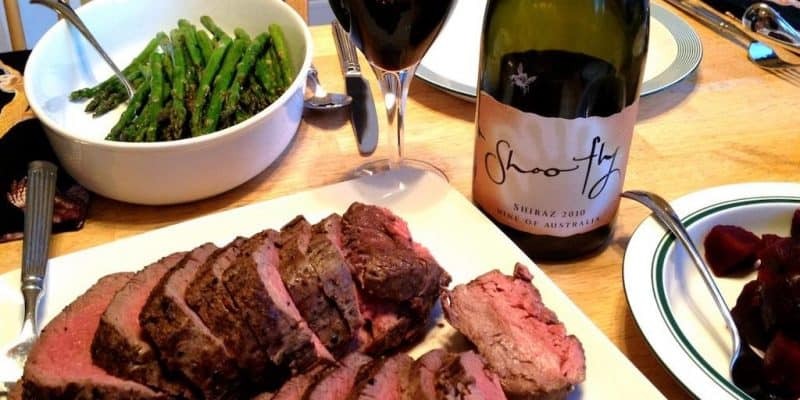 Of course, she didn’t use any measurements, so it wasn’t so much a recipe as a little technique plus a few suggestions, but still, it was enough to get started with. 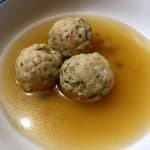 I must say that I am a bit taken aback at the wide variety of matzo ball recipes that are available online, I had no idea that people had such strong opinions on how their balls should appear, taste, whether or not they should float and what you should add to your recipe to help with the floaters, or sinkers, whichever you prefer. I guess everyone grows up loving the balls that they see the most, which for most people is on Passover and probably made by their parents or grandparents. For me, that meant relatively small dense matzo balls, with some onion, celery and parsley thrown in there. 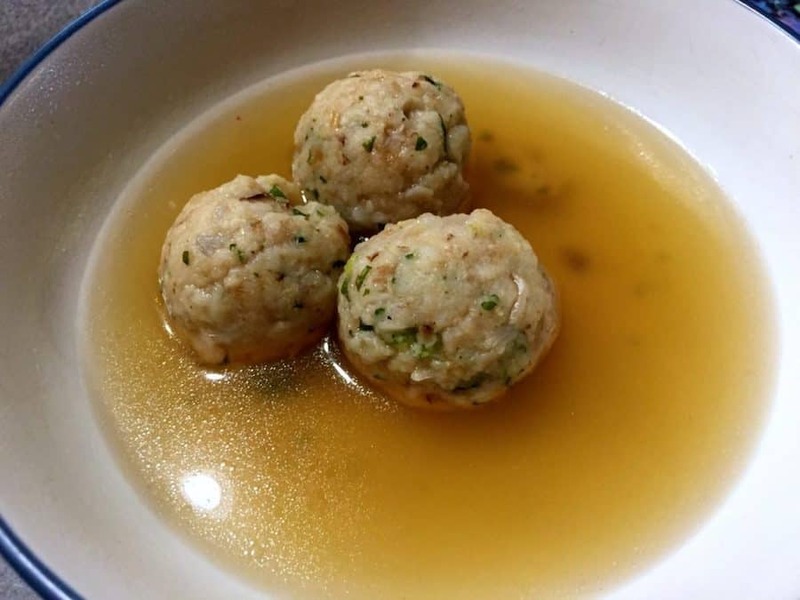 As far as floating goes, I never even realized that was a category of mazto ball to consider, but when we add our matzo balls to the chicken stock, which should already be made, they sink. And then, after cooking for about 15 minutes or so in boiling stock, they float. So I’m not sure how you want to categorize that, but I’m certainly not looking at adding baking power or soda to help with their floating skills. When considering what to include in this recipe, matzo is obviously the first ingredient that comes to mind. I could probably make a lot of people happy here, and say that I went with gluten free matzo, but it never really crossed my mind. I simply used some regular, old school lightly salted matzo. 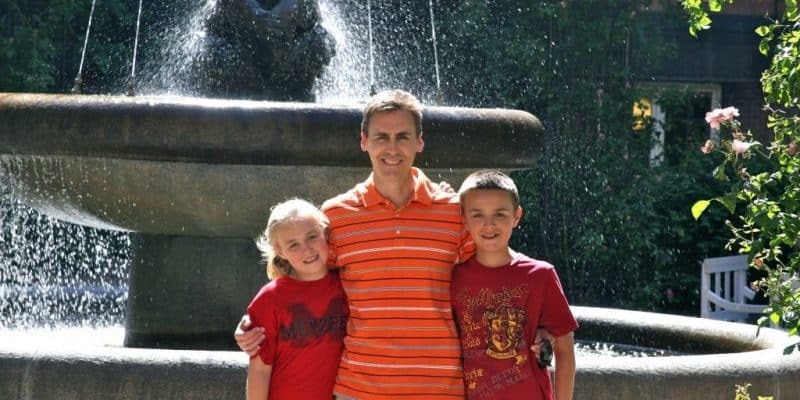 Remember, the whole purpose of my website is to record recipes that my children like so that maybe one day they can cook for themselves. Also, it’s to examine what we eat, not to the point of paralysis, but to help ourselves try to avoid some of modern society’s dietary ills and diseases. I have a hard time seeing how matzo balls a couple of times a year really fits into our rising rates of cancer, obesity and diabetes. Along with the matzo, my grandmother started a few vegetables out in a pan with a few tablespoons of chicken fat, or schmaltz, as she likes to call it. I don’t usually keep a ton of schmaltz on hand, and have found that butter works just fine as well. Once you have everything diced and measured out, the whole process actually goes pretty quickly. The hardest part is simply the stirring of the mixture to help the matzo dry back out from having soaked it in water. But just remember as you stir that every few minutes you get to take a break to add in another ingredient. Once you have cooked everything through, the matzo mixture should be a nice sticky consistency that will roll up nicely into balls. But not yet, that would be too hot! 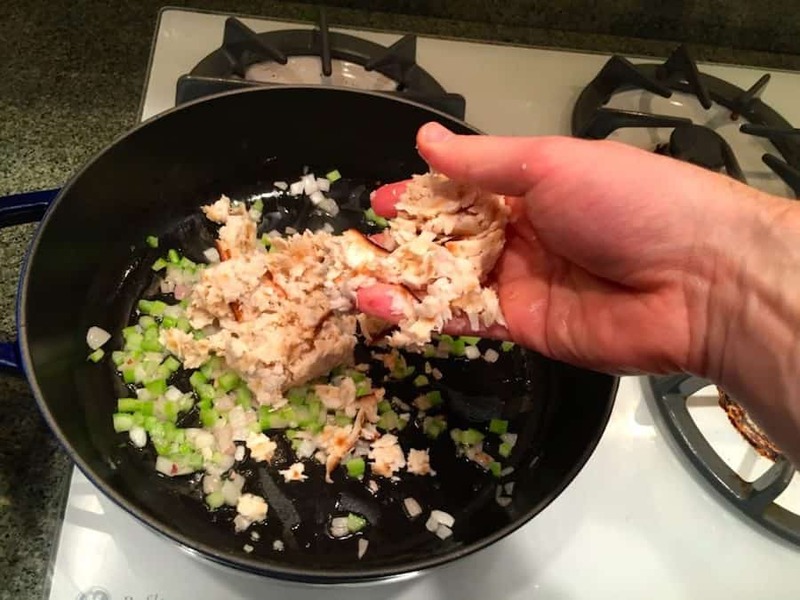 Take the mixture off the stove and let cool for a bit, until you decide that you won’t burn your hands by handling the matzo, and then start rolling. 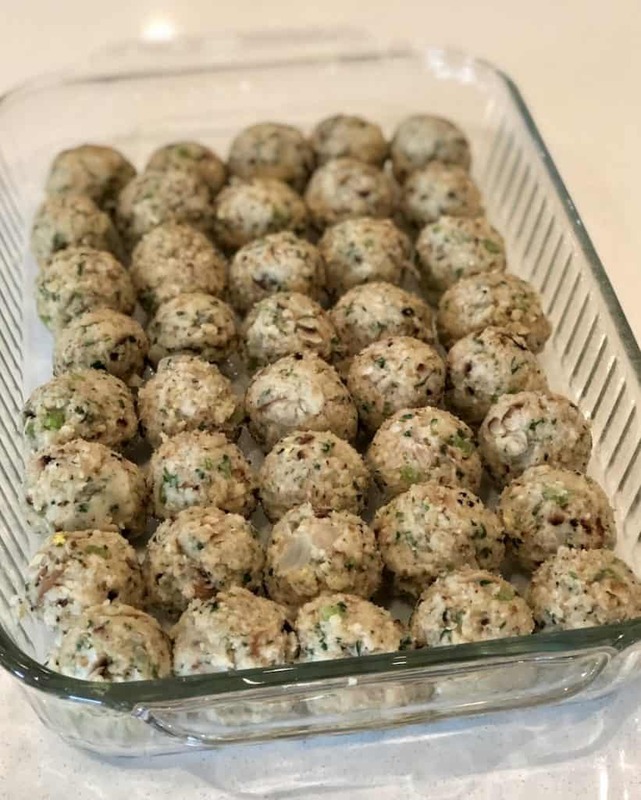 once all of your matzo balls have been rolled and placed in your container, with parchment paper in between layers, place into the refrigerator until needed.